HOW POWERFUL ARE THE WORDS, “I’m praying for you”? They can mean a lot- especially if you believe the person saying those words knows how to pray! One day Jim Cymbala, the pastor of Brooklyn Tabernacle called me to pray for my wife who was facing serious surgery. That call was a real encouragement because I know Pastor Cymbala is a man of prayer. A pastor’s prayers can mean a lot but as believers we have Someone greater than pastors or teachers praying for us. Jesus Himself is praying for His people! If you are a follower of Christ you can be sure Jesus is praying for you. The question is, What is He praying for you about? You have an enemy! Jesus called him “the evil one” (v.15). Someone recently said, “The devil is preying on me, but Jesus is praying for me!” True. Jesus left the Church in a battle behind enemy lines and therefore He prays to keep us safe from the enemy! Holiness sounds like a word from the Christian past instead of a description of God’s people today. Yet, Jesus prays that you will be sanctified- a word that means “set apart for God’s holy purposes.” How can that spiritual cleansing occur? Jesus said it happens as we immerse ourselves in the Word of God (v.17). The California pastor and author Francis Chan recently made a poignant observation. He said, “The point of your life is to point to Him.” The church is on mission with God. We are sent into the world to reach a lost world and proclaim our Lord’s message of grace! 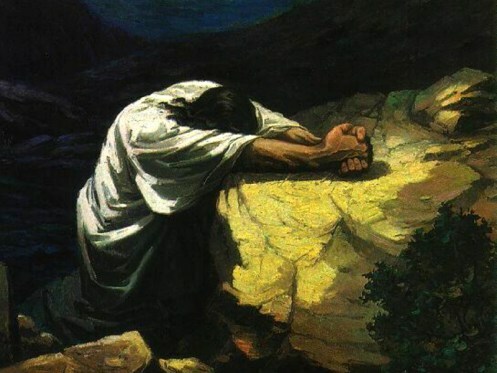 If Jesus is praying like this for you, what are you going to do now? Respond in faith and rise up to be the person prays you will become! Amen.